People work hard to buy a vehicle to enjoy its ride for business or personal needs. However, an unfortunate incident can take place any time and can cause heavy damage to your vehicle. The cost of repairing the vehicle or to replace it will be high; hence it is important to have vehicle insurance for providing complete care to your vehicle. Motor insurance plan document is one of the most vital documents for your vehicle, as it is compulsory to have a motor insurance under Motor Vehicles Act. 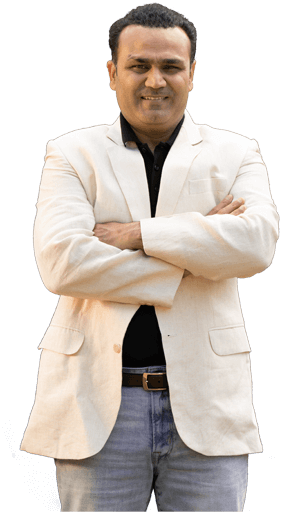 In India if you have any vehicle, then it is obvious that you must be carrying a vehicle insurance plan, mostly the third party insurance coverage which is compulsory. In India, we have two types of vehicle insurance products -Third party cover and a Comprehensive insurance plan. It may be confusing for you to choose the best vehicle Insurance plan, but if you know the features and benefits of theses insurance plan then you can select the best policy easily. Third Party Insurance :- It is a type of insurance policy that provides coverage for the damages caused to the third party by you. It means that in the case of an accident, the third party insurance plan would cover all the damages that were caused to the third party, his/her car & its related accessories by you. It also provides coverage for injuries that were caused to the third party during the accident. It provides coverage for the third party liability, not on yours. Comprehensive Insurance Plan :- In the case of comprehensive insurance plan, it would provide coverage for all the damages that were caused to your vehicle and third party coverage is also included in it. How to Compare Motor Insurance Online? Buying the best motor insurance plan might seem a difficult process, but at PolicyX.com we make it easier and hassle free for you. We provide simple ways to compare quotes from leading motor insurance providers. We provide all quotes free of cost that helps you in choosing the best plan as per your requirement. At PolicyX.com you can get free information of the desired products in few minutes. All you need to do to get the best motor insurance plan is fill some basic details, compare free quotes, make payment and get the policy documents through e-mail. This will hardly take 10 minutes. Compare free quotes and get the desired policy in few minutes without much documentation. Nowadays, everyone has a busy schedule. People have to complete several tasks in a single day. The growing responsibilities related to work, family and society as well has left no time for them. For saving their time, people are purchasing a car. Car helps them in saving much time and they enjoy the comfort of the car while traveling on the road. 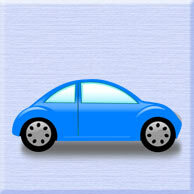 Just as purchasing car is unavoidable, a motor insurance plan too is a requirement. With the rapid growth in the number of accidents on the road and theft of cars, it has become an obligation for vehicle owners to buy a car insurance plan. 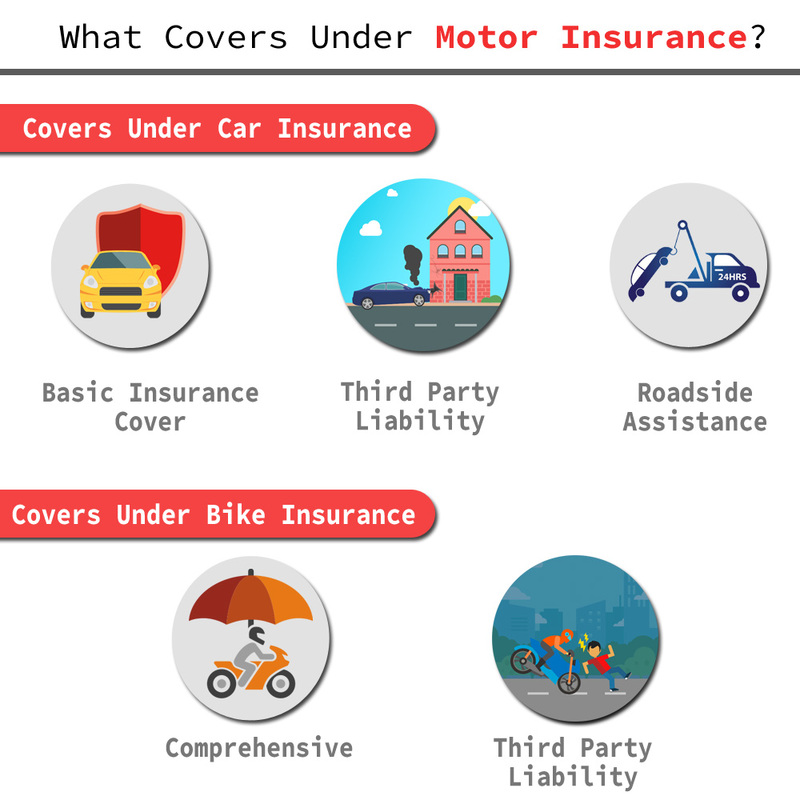 Motor insurance is mandatory on purchase of a new vehicle, whether it is a two wheeler or four wheeler acquired for private or commercial use under Motor Vehicle Act. A person is liable to pay penalty if he is found without a valid cover. An accident can take place at any time and this may result in severe damages to the car or two wheeler and cause harm to the person as well. In such cases, a motor insurance plays a beneficial role. If the driver is responsible for the accident which results in heavy damages to the third party, the owner has to pay all such expenses. In this case a third party liability coverage acts like a savior and protects the owner from financial losses. Your vehicle may be an expensive investment for you, and an accident can turn it into a huge loss, hence it is vital to have a motor insurance. It will provide coverage against accidents like theft, fire etc. Basically, in India we can categorize vehicle insurance into two categories: car insurance and two wheeler insurance. Car insurance is an arrangement between the insured and insurer. After purchasing a car with your hard earned money, you also need to pay for its repairs and damages with the same money, which can be quite painful on your pocket and affects your savings as well. In India, it is mandatory to have an insurance policy for your vehicle as it provides financial coverage for any damages or theft of the vehicle and provides you peace of mind in case of a mishap which might include you or a third party. Car insurance is compulsory to have by law. It is a legal necessity to have a minimum level of insurance before driving a car in India. The coverage depends upon the type of plan and the insurer. However, following are the basic coverage, which you will get with a car insurance policy. This cover includes comprehensive car insurance plan (if your car is stolen, damages by any accident or fire). It also includes personal accident cover as well. Many insurers provide roadside assistance in which they offer all the above benefits along with several roadside benefits such as towing, repairing of minor breakdowns, lost key coverage etc. A two-wheeler insurance plan provides financial coverage against scooter, motorcycle damage, theft and liability coverage as well. Two-wheeler insurance is a necessity because of poor road conditions and deteriorating traffic situation in India, which may lead to mishaps and accidents which are beyond your control. 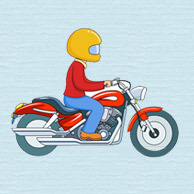 You can renew expired Two-wheeler insurance online with the help of leading bike insurance companies. Comprehensive insurance plan provides coverage for all the damages that are caused to your vehicle and third party coverage is also included in it. Third party insurance is a type of insurance policy that provides coverage for the damages caused to the third party by you. Personal Accident cover is also available. There is no doubt that the easy access to the internet has provided an easy medium of purchasing a motor insurance plan. Currently there are two factors which you should pay attention to while purchasing motor insurance-the insurer and you. As the insurer decides which plan he can offer you, it is for the customer to decide which insurance plan he should purchase to meet his/her requirements. At the time of purchasing a policy, check if your motor insurance plan provides coverage on physical injury or not. If the answer is yes, then check out the extent of the coverage. Also make sure that the policy provides coverage on liabilities with respect to the damages of the vehicle in case of any mishap. Purchasing the appropriate motor insurance is a difficult task. Hence, you need to do some research for getting the best out of them. Nevertheless, for carrying out such a research, you should know about the things you need to look. There are some things that you must check while buying motor insurance plan, such as Company’s reputation, Claim ratio, network garages, budgeting and much more. Apart from that you should read the whole terms and conditions of the policy that will help you in choosing best and hassle free ways at claim time. With the help of free quotes that are available on our portal you can compare motor insurance policies easily that will directly lead you towards the best plan. If you want to buy a motor insurance for your vehicle online which requires minimal documentation. If it is for the first time for your vehicle then you must have a proposal form along with the a copy of Registration Certificate (RC). It is important for every vehicle owner (private or non-commercial vehicle) to register his vehicle at the nearest RTO (Regional Transport Office). If you want to renew the existing one, then you just need a Registration Certificate (RC) along with the previous insurance policy.